Based on the tax law, vouchers are treated as non-cash payment instruments, while Section 9 removes vouchers from the concept of the sale of good, and as a result; it falls outside of the scope of VAT. 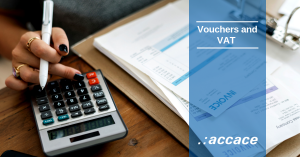 the voucher or the relevant documentation specifies the product or service(s) to be used or the range of suppliers or service providers, where the voucher can be redeemed. The adopted amendment does not specify the form of the vouchers, they may be paper-based, or even issued in an electronic form. The rules set out in this directive apply only to vouchers to be redeemed for products or services. However, vouchers that entitle for discounts but do not themselves have the right to purchase a product or service shall remain non taxable. By the directive, vouchers are classified into two categories: it distinguishes between the single purpose and the multi purpose vouchers. A single purpose voucher is used, when the voucher clearly defines the exact product or service to receive in return for the voucher, the place of sale or delivery of the service and the amount of VAT paid for the given good or service. The handing over of single purpose vouchers shall be considered as a taxable transaction. Consequently, the actual product sale or service provision in exchange to a single purpose voucher will no longer be regarded as a separate taxable transaction. Multi purpose voucher is any other voucher that does not match the concept of the single purpose voucher. In case of multi purpose vouchers, no specific product or service can be clearly identified in return for the voucher. In case of multi purpose vouchers, when the voucher is delivered (handed over), it is not possible to determine precisely the kind of service or product the voucher will be used for, so the transfer itself does not create tax liability. In their case, the actual transfer of the products or the actual provision of the service should be regarded as a taxable transaction. In such cases, the tax base is the difference between the consideration paid for the voucher and the amount of the VAT on the goods sold or service rendered. The distinction of vouchers is important for tax purposes, in case of single purpose vouchers, tax liability arises, when the voucher is transferred, whereas in case of multi purpose vouchers, the tax on the transaction is to be paid at redemption. Although the regulations are to be introduced by the Member States form 01.01.2019, companies should already consider their promotion strategy, so they meet the requirements.